Sally Mauk: Welcome to "Campaign Beat," our weekly political analysis program. I'm Sally Mauk and I'm joined by veteran Capitol Reporter Chuck Johnson and University of Montana Political Science Professor Rob Saldin. 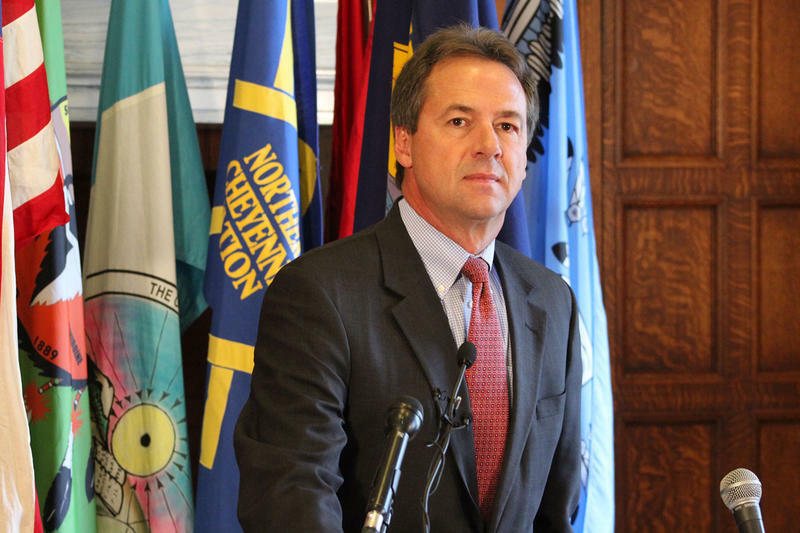 And Rob, it was reported this week that Governor Steve Bullock will travel to California and Iowa this spring. And that raises more speculation that he is seriously thinking of making a run for president in 2020. Rob Saldin: Right. This is the latest indicator, certainly not the first. Last summer Bullock formed a political action committee, which allows him to raise money for a future campaign and to pay for his travel around the country. He also hired a top shelf chief of staff Tom Lopach, who had previously been back in Washington for years working at high levels. And I just doubt that Lopach would have been interested in coming back to Helena to coast through the last couple of years of a termed-out governorship. But coming back to launch a presidential run, now that would certainly make sense, and also these trips to California and Iowa, which is obviously the scene of the first nominating contest for president. This is just the latest indication we have from Bullock. I think clearly, Bullock seems intrigued with the possibility of running for president. And clearly he wants to, at the very least, preserve the option to run for president if things line up right over the next 12 or 18 months. And the reality is if you aren't doing the kinds of things that he's doing now: getting your fundraising operation into place, getting your staff into place, making connections across the country. If you aren't doing that stuff you automatically take yourself out of the running. You know maybe a celebrity candidate like Donald Trump or Oprah can play by different rules. But Bullock has to follow the traditional path and that's what he's doing here. You know, former governor Brian Schweitzer was in a similar position several years ago. He made some of the same moves Bullock is currently making but eventually decided not to run. And it wouldn't surprise me if Bullock eventually reaches the same conclusion. Because obviously, for so many reasons, if Bullock does decide to pull the trigger on a presidential run it would be a real long shot. I mean just to mention one problem; it just doesn't seem to me that the National Democratic Party is yearning right now for a mild mannered moderate white guy to be their nominee. And there are other issues we could list. But that said, he can't run for governor again. So why not test the waters. At worst it raises his profile, helps him make some new connections. So there's no real downside to it. And arguably, Jimmy Carter and Bill Clinton were similarly situated prior to their presidential runs. And there are going to be a lot of Democrats running in 2020. There isn't an obvious front-runner. Weird things can happen in a crowded field like that. And Bullock's background as a successful governor in a red rural state, it is unique and we could probably game out a scenario or two in which maybe that's a secret code in 2020. So, stranger things have happened. SM: Well Bullock was in D.C. this week with other governors meeting with President Trump on school safety in the wake of the Florida shooting. And he had this to say at that meeting about President Trump's proposal to arm teachers. "I want to make sure if somebody is armed in a school that they have that training that we know that he or she — it's much more as I think you recognize than just carrying concealed — that they have that training that I as a parent can say that this person under pressure will know what to do with a firearm before we start introducing the firearms in to our schools." SM: I'm not sure from that statement, Rob, whether he thinks arming teachers is a good or a bad idea. Probably a bad idea is where he's leaning I'm guessing. RS: My sense is that Bullock was trying to insert a note of caution regarding one of the main ideas that we've seen emerge in the aftermath of the school shooting in Florida. That being, putting more guns into schools. And it seems to me that there are basically two versions of this idea. The more extreme version is to arm teachers. And some of the details here aren't entirely clear, but presumably this would involve incentivizing teachers to obtain concealed carry permits and then allowing them to bring their guns into their school, with the idea being that they'd then be in a position to shoot back if that kind of scenario that played out in Florida played out in their school. So this is very much in line with the broader argument some people make that basically more people carrying guns is good because that means you've got more people to engage bad guys looking to do harm. Now the softer version of this idea is to increase the number of armed law enforcement personnel in school, and here the purpose would be the same. Increasing our ability to confront and take down an active shooter. But under this scenario you'd presumably have far fewer adults carrying guns, but they'd also presumably be much better trained than say, your average math teacher. So my read on Bullock's comment is that he's not a fan of the harder version of this idea of more or less broadly arming teachers. And Bullock seems to be urging the president that, you know OK, if we're going to go down this road of putting more guns in schools we'd better be damn sure that anyone who has a gun inside a school is very very well-trained and checked. SM: Governor Bullock has some very personal and tragic experience with a school shooting that I think not many people realize. Chuck Johnson: That's right Sally, and he mentioned this, according to the transcript of the governor's meetings with President Trump. In the late '80s, early '90s he had an 11-year-old nephew. He was a grade school student who was killed on the playground at a Butte school by another student. And it was a case where the student that killed Governor Bullock's nephew had two parents who were HIV positive and was being harassed by some other students, not the Bullock nephew. But the nephew was the one who was shot and killed. I have not heard Governor Bullock mention this story in his campaigns for attorney general and governor; the two campaigns for governor and the one for attorney general. I may be mistaken, but I've never heard him talk about this before. SM: Rob, Senator Steve Daines also met with President Trump on school safety this week. Here's what he had to say. "These shooters typically are males, they're white, and they're suicidal. And they're cowards. And cowards, cowards can be stopped with deadly force." SM: It's a very different tone, Rob, than we just heard from Governor Bullock and it does seem that Senator Daines thinks arming teachers is a viable option. RS: Yeah, totally different tone. For me, one of the interesting things to come out of this recent Florida shooting is that we're seeing some reform ideas emerge from the pro-gun side. Often in the past, the pro gun people basically were content to dismiss the reform ideas that were being proposed by those seeking more regulations on guns. And the key critique they had has been that the most common gun control proposals wouldn't actually be effective at stopping these mass shootings; that they are essentially measures that would maybe make people feel good. We are doing something. That's great, but actually they wouldn't have prevented the shootings. And while that argument doesn't necessarily mean that gun control proposals should be rejected, it does undercut the idea that many people seem to hold that there is basically an easy solution at hand. That if only Congress passed this or that law, then these terrible events wouldn't happen anymore. Well, in the wake of Florida we see people on the right feeling compelled to do more than simply criticize the gun control people. And I think this is what we see from Daines. He talks about wanting to do something, and the something he has in mind is to deter shooters, basically putting more guns in schools. And to me it wasn't clear from what Daines said earlier this week about whether he prefers the idea of arming teachers or just the kind of softer version of that, boosting the law enforcement presence. I guess, based on his comments, I suspect he might prefer to have those specifics hashed out at the state and local level, rather than the federal level. But either way, he certainly seems to be way more enthusiastic than Bullock about the idea of getting more guns into schools as a means of trying to prevent these things. SM: Chuck, guns were also discussed at a forum in Bozeman recently featuring four of the five Democrats who want to unseat Greg Gianforte in the House, and they were asked what gun control policies they would favor in the wake of the latest mass shooting. And here's how Grant Kier of Missoula responded. "I didn't get into this race to take guns away from Montanans who are law abiding citizens. I got into this race because I think we have somebody running who is not making good decisions. And so I didn't have a lot of background going into this issue and I've certainly done a lot of homework since." SM: And he went on to say, Chuck, that he favors closing background check loopholes and funding research on gun violence, but does he really need to do more homework on this issue? Gun control is hardly a new issue for a candidate to address. CJ: Well, I thought watching the debate on video that his stand on the issue was probably the weakest of the three other Democrats there. He did preface that he's a hunter, and I just felt like his stands weren't as strong as some of the others in trying to solve this issue. SM: John Heenan of Billings said he favors closing loopholes as well, and banning bump stocks, and he won't take any money from the NRA. And Jared Pettinato of Bozeman said he would improve enforcement of existing laws. But once again, Chuck, it was Kathleen Williams who had the strongest stance on gun control and who drew the most applause when she spoke out against assault rifles. "These are appropriately named assault weapons. They're not for self-defense. And four courts have declined to say that the Second Amendment covers assault weapons," Williams said. SM: And she went on to say, Chuck, that she's not afraid to stand up to the NRA. She's said that before. CJ: Yes. I felt in this debate she was the strongest on this issue and certainly drew the most applause. And she said she spoke as a sportswoman, that she and her family have multiple rifles and shotguns and they've been involved in hunter education programs. And you know, also called for the research and expanding mental health and that sort of thing, so to me, she was the strongest voice on this issue on this panel at this particular debate. SM: And got the most positive response. But we should keep in mind that this was probably mostly, if not entirely, a Democratic audience, and it would be interesting to see how her stance would play in an audience that might be more mixed politically. CJ: No question about that. And you know this was a Gallatin County Democratic Party event. But you know it be interesting to see what kind of response she gets if she speaks to a local sportsman's group or a service club or something like that. SM: Rob, many people are arguing that gun violence, shootings and suicides are a mental health problem, not a gun problem, and that that's where the focus should be. But, here's what the head of psychiatry at the Billings Clinic, Dr. Eric Arzubi, had to say this week about that. "If I have 100 people with depression and no access to guns, and 100 people with depression with access to guns, there can be more suicides in the group that has guns. Period." Dr. Arzubi, it should be noted Rob, helped counsel families in the wake of the Sandy Hook school shootings, so he's seen the effect of this kind of tragedy firsthand. RS: Right. So a lot of the use of guns in this country and a lot of the people who die because of shootings are not the big events that we see occasionally on the news like this Florida shooting. But it is people committing suicide. And I think that's what he's getting at. And I think that is one of the important aspects of the gun debate that we're having right now that doesn't quite get as much attention. It's not something that is splashed all over the headlines. But, if you want to look at gun deaths in this country — I mean, a huge proportion of it — it's not people shooting other people, but people shooting themselves. 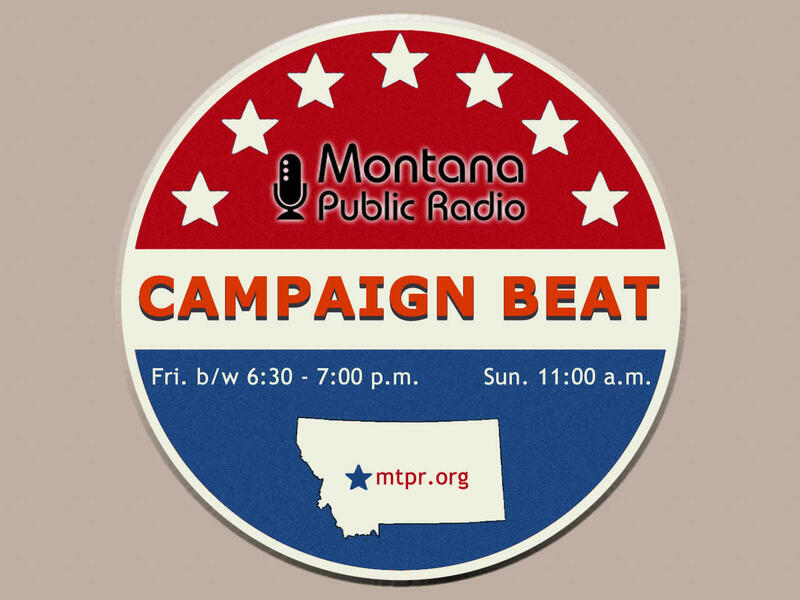 SM: In the midst of all this serious news this week, Jackie Yamanaka of Yellowstone Public Radio, Chuck, had a fun and enlightening story about the challenges of the campaign trail during a Montana winter. And those challenges include whiteouts from blizzards, and the occasional deer flying through the windshield. We don't think enough, I think, about just what these candidates are going through when they're out there campaigning in Montana in January and February and March. CJ: And maybe April and May. No, that's true Sally. Every campaign, it seems, you'll hear stories from candidates or their staffers about narrowly avoiding hitting a deer on the highway, or getting stuck in a snowdrift and that sort of thing. And what people often fail to realize is campaigning is a full time job for these candidates and their staffs, and they're out on the road basically every day. They literally put their lives on the line. And we've had no accidents this campaign cycle, but we've certainly had some in the past. In the last cycle, Mike Fellows, a perennial libertarian candidate for Congress, died in a car wreck. We had one in 1996 where Chet Blaylock, who was running for governor, had a heart attack when he was driving. So there have been some terrible accidents in the past, to say nothing of a couple of plane crashes that have killed candidates. So our candidates and their staff put their lives on the line, literally, when they travel this vast state and all kinds of weather conditions. SM: And doing it without complaint we should add, too. So, kudos to them for making the effort. You've been listening to "Campaign Beat," our weekly political analysis program. I'm Sally Mauk and I've been speaking with University of Montana Political Science Professor Rob Saldin and veteran Capitol Reporter Chuck Johnson. And guys, we'll see what the next week brings and I'll talk to you then. Montana gun rights advocates are organizing a rally in defense of the Second Amendment later this month in Helena. The "March For Our Guns" rally is planned for Saturday, March 24, on the steps of the state Capitol. 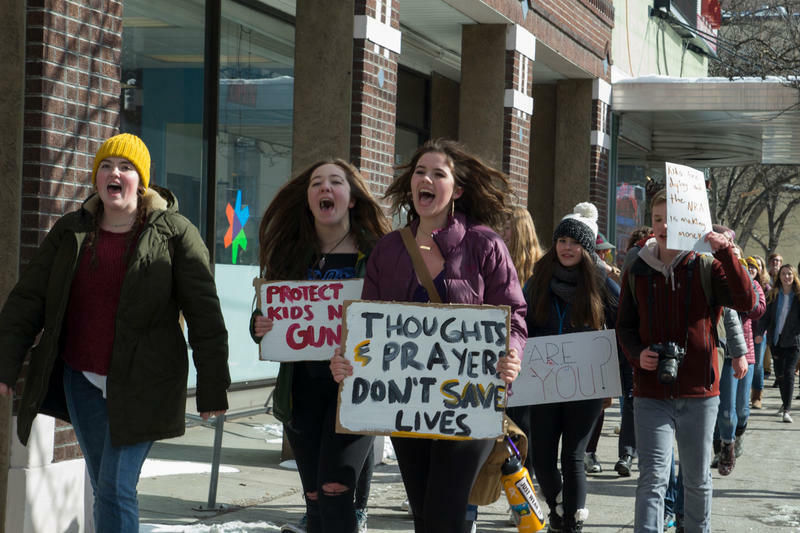 That’s the same day "March For Our Lives" groups nationwide plan rallies to protest gun violence. 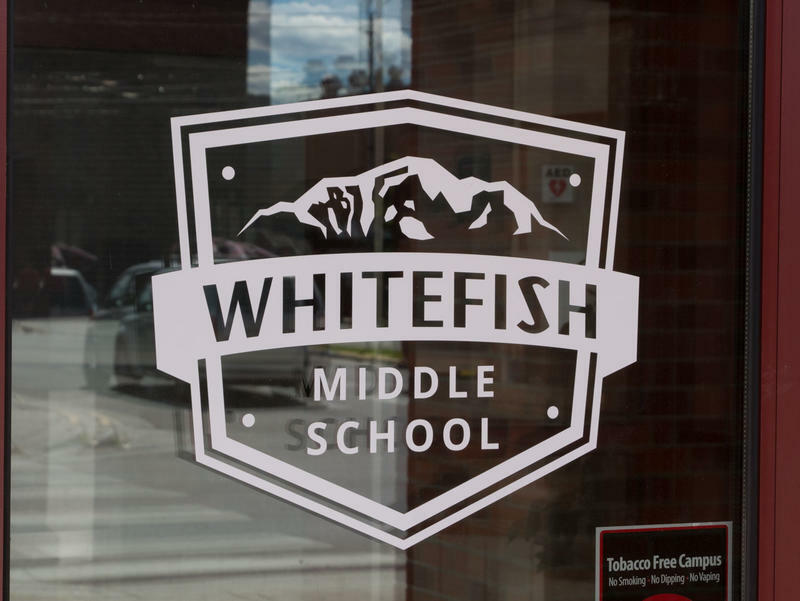 The superintendent of schools in Whitefish has come out against arming teachers. Not everyone in the community agrees. Superintendent Heather Davis Schmidt doesn’t mince words in her latest column in the Whitefish Pilot.